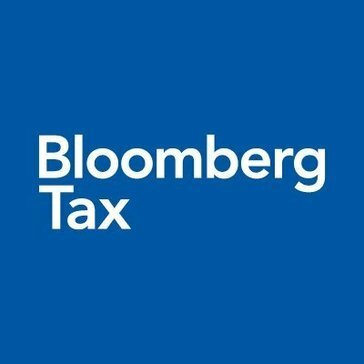 Work for Bloomberg Tax Fixed Assets? Learning about Bloomberg Tax Fixed Assets? "Does the job, but not user friendly"
So many options for reports they are almost difficult to use, you can't export the main asset list (have to run a custom report), You can only search for asset ID with the find function, you can't search for descriptions, VIN, names, etc. Two users can't be logged in on different computers. Simple tool to create reporting figures and provide audit evidence of fixed assets. "Review BNA Fixed Assets Web"
1- Is there a one GL System or multiple GL Systems that feed into the Fixed Assets. 2- Relationship between Tax Department and IT Department in charge of the Fixed Assets per Books. 7- Consider whether to internally host the Fixed Asset solution or have the vendor host it. Managing Fixed Assets from multiple ledges, consolidating tax deprecation, running scenarios for tax depreciation, building various company hierarchies for what-if-scenarios. "BNA FA implementation and maintenance"
BNA FA is something I implemented last year. I did about 2 hours one on one training with a trainer, who was extremely knowledgeable about the product. Afterwards, I called for one off questions I had and was able to implement and use immediately. Some of the categories are a bit confusing. It just takes some time to get used to the setup. I've used Oracle and FAS previously for fixed assets. Oracle is very unforgiving and doesn't allow much change. It has been quite a while since I used FAS and don't remember much about the platform. BNA FA allows you to easily change or remove assets to get to your desired product. I am a one person tax department, so I need tools to help me work quickly and efficiently. I am able to pull stuff immediately rather than waiting for advisors to provide, which takes weeks. It cuts down the time needed to do modeling for the company. 1. Ease of running depreciation reports for past or future periods. 3. CIP/Inactive assets can't be filtered out of reports on "All Assets"
1. Eliminate the need to unlock when running reports. 3. When importing accumulated depreciation do not met the system update the amount. There are options to do this however they do not consistently work. In speaking with tech support they acknowledged this was a known issue but did not know when it would be corrected. 1. Running depreciation projections for multiple scenarios with multiple books in one company. This is nearly impossible with other vendor's software. I like the scalability of the software. It can grow with a company without any problems. It also has the essential feature of being able to calculate and produce depreciation reports for both Tax MACRS depreciation methods, as well as any other standard accrual/book depreciation methods. The functioning of adding or removing assets is cumbersome if you are entering 30 or 40 new assets for an entire year at one time because you have to manually enter each one. This takes up time if you are managing fixed assets for more than one company. The problem of client consistency. Most clients would not be able to produce a reliable/accurate fixed assets report if they had to track all assets themselves each year. Businesses don't always keep accurate records and will forget or not provide by mistake information on more than half their assets sometimes. "Keep track of your fixed assets"
I like that this software keeps track of all fixed assets and makes it easier to apply depreciation rules. The software is very slow to load and freezes at times, I have had issues with AMT depreciation as well. I have tried both Sage fixed assets and BNA fixed assets. I can't say one is astoundingly better than the other. They are both slow at times but ultimately make keeping track of fixed assets easier. "Excellent Product! I recommend highly!" This software makes it so easy to maintain asset records, from CIP to disposal, the entire process is painless and efficient. There is no guesswork involved and no more spreadsheets! I love the reporting features as well. So far I have zero complaints about this product. We had an ancient asset reporting system at my current job. Having used BNA at another company, the first thing I did was request this product. Switching over was simple, and the support team was great! The software has quirks. They don't make it unusable, but if you don't track them down they can mess things up. I figured I'd review this software while I was looking at Sage Fixed Assets. I moved companies, and my new firm used this product instead of Sage. It does get the job done, and the web interface is great for what we're doing, since the fixed assets are tracked over multiple departments. However, at least for us in tax, it has some odd quirks. The biggest issue we have is that the reports we print out don't always show the information like we'd expect. For example, I recently printed off a 4797, and the totals didn't add up. We quickly figured out the problem, so it wasn't a huge issue, but it was just...odd. Also, since this is a web program, adjusting fixed assets can be a bit more cumbersome than if you'd use a dedicated piece of software. There's a few more steps to make changes that are quick drop down items on Sage Fixed Assets. It's not necessarily a negative, since it makes up for the issue in other regards, but it does come down to personal taste, and importance of having software that you can access over the web. This software easily tracks all of our fixed assets accurately for book and tax purposes. They regularly update the software for applicable changes in laws and rules. Very easy to enter new assets, dispose of assets and run reports. I used to dislike the fact that it was a program that ran locally on an individual computer. Now they have upgraded to a web-based version. We have to accurately report assets and depreciation not only for GAAP, but for tax purposed to maximize deductions for the ever changing tax rules. This software easily does that for us for things like Section 179 or bonus depreciation. "Simple fixed assets management, limited features but very reliable"
We like the ease of installation and maintenance of this program. We upgrade once per year, which always goes smoothly. This is a "no frills" application, which is much appreciated. There can be issues with reports from year to year. Typically this is due to a change in the program, but their documentation is somewhat lacking, so we end up needing to contact their support department. Tracking fixed assets is a must, and our current management systems did not do this efficiently. BNA Fixed Assets solved this for us. BNA offers a great product with cloud based storage of fixed assets. The reporting feature included in the software allow about any type of report needed to be ran. The only complaint with the software is the way the reports appear when they are exported to excel. I would prefer a slightly cleaner look. The software is helpful my is centralize our tax reporting of fixed assets. User friendly, easy to navigate, accuracy, reliability. Ability to re-produce reports from prior month and/or years. Covers all methods of depreciation. Customer service is always friendly and helpful. Annual updates. Solving monthly depreciation. Realizing timely and accurate postings. Web access and ease of use makes this product well worth the money spent. Have not accounted any issues. Currently no dislikes. Tracking fixed assets and booking depreciation. Very easy to use. "I have always found BNA easy to use and if I have a question their tech support is excellent." Ease in use and the ability to add information that will benefit others in the future to identify products on the floor. We use the web based product of fixed assets. There are some things that the desktop version has that the web based product does not and vice versa. Being able to accomplish the company objective. It is difficult to deal with partial asset dispositions. Calculating current year and future year depreciation. BNA provides an easy to use sub-ledger for our AS400 system. It provides us with easy to download and use tax documents. Until you get use to working with BNA, some aspects are not intuitively obvious. We use BNA primarily for controlling out fleet assets, both owned and leased. "Fixed asset management for depreciation purposes"
* We monitor all Bloomberg Tax Fixed Assets reviews to prevent fraudulent reviews and keep review quality high. We do not post reviews by company employees or direct competitors. Validated reviews require the user to submit a screenshot of the product containing their user ID, in order to verify a user is an actual user of the product. Hi there! Are you looking to implement a solution like Bloomberg Tax Fixed Assets?